Our new Versailles Bedroom line appeals to a wide range of consumers. Contoured wrap around molding on this solid wood dresser combines with clean classic lines, adding elegance and charm that can be enjoyed for a lifetime in any bedroom suite! 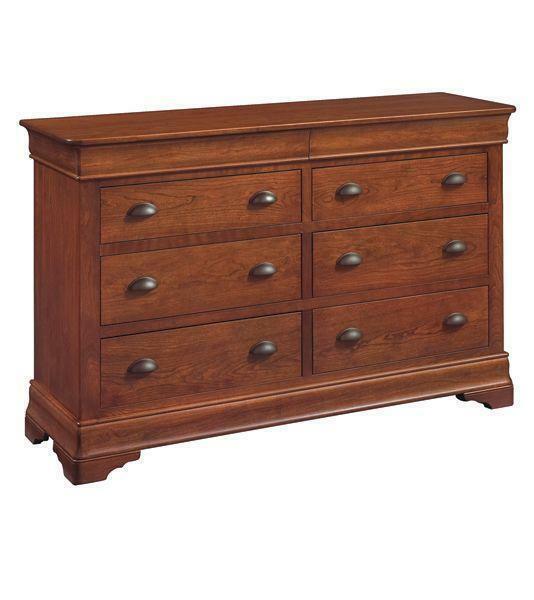 Choose a hardwood and finish for this Amish dresser to get your order started today! If you would like assistance with ordering please give us a call at 866-272-6773.